PDC Machines Kareem Afzal and Ivy Solutions Darryl Pollica were at the Act Expo in Long Beach, CA highlighting the features of an onsite hydrogen generation and dispensing solution for zero emissions hydrogen fuel cell vehicles and material handling vehicles (forklifts) . This appliance can be located at homes and businesses for on site hydrogen re-fueling. 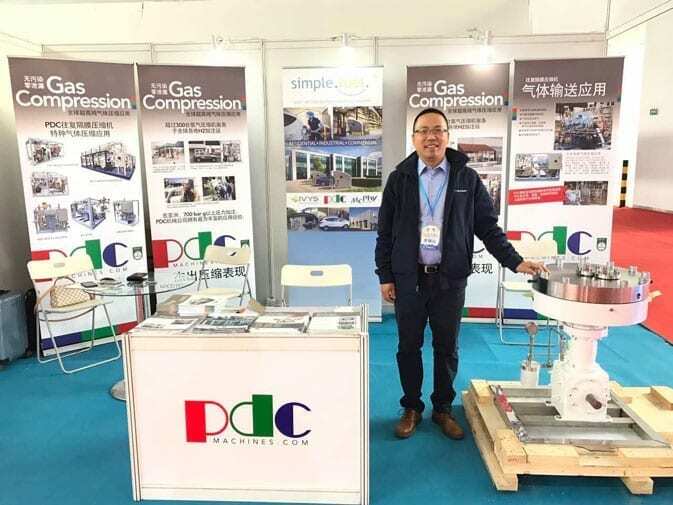 Jason Chow, PDC Asia Business Development Manager exhibited PDC Machines compression capabilities with respect to fueling hydrogen fuel cell vehicles at the 18th China International NGVS Gas Station Equipment Exhibition & Summit Forum. The booth attracted significant attention since there is considerable interest in the emerging hydrogen fuel cell market and hydrogen fuel cell vehicles. 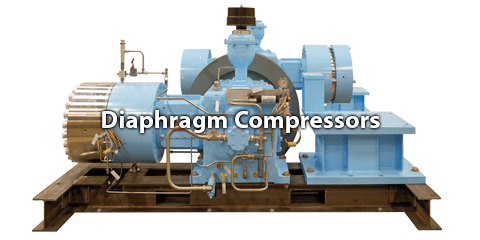 PDC is recognized as a significant participant in this growing market. January 23, 2017 – Washington, DC – The U.S. Department of Energy’s (DOE) Fuel Cell Technologies Office (FCTO) and the Hydrogen Education Foundation (HEF) recently announced the competition finalist SimpleFuel as the winner of the $1 Million H2 Refuel H-Prize. This success can support economic growth, jobs, and domestic leadership in cutting edge energy technology. The SimpleFuel™ team, a consortium made up of Ivys Energy Solutions, McPhy Energy North America and PDC Machines, designed their system to be a safe, small-scale hydrogen-refueling appliance capable of delivering up to 5 kg/day of hydrogen to vehicles at pressures up to 700 bar (10,000 psi). 5 kg is enough to fully fuel one fuel cell electric vehicle (FCEV) for 300-360 miles. 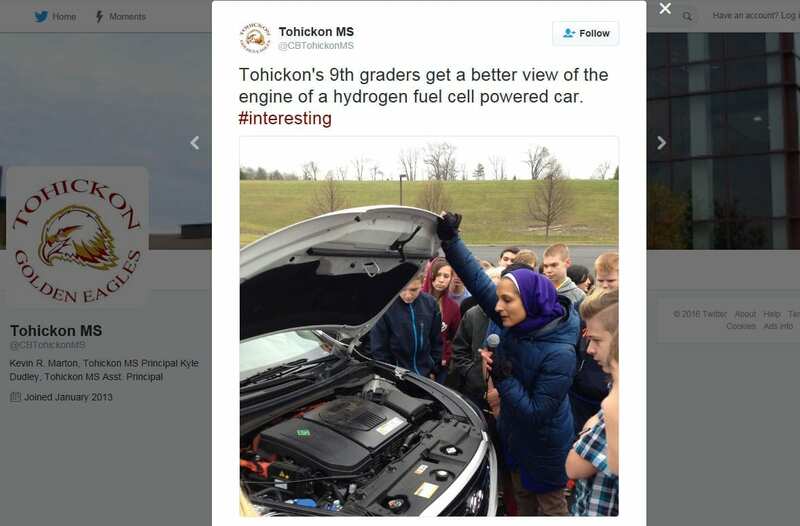 “In 2007 Congress established this competition, with bipartisan support, to inspire creative approaches and advances for hydrogen energy technologies,” stated Jeff Serfass, President of the Hydrogen Education Foundation. “The development of the hydrogen infrastructure became the target of this competition, and I am pleased that DOE and HEF together have delivered on the objective for the H-Prize with SimpleFuel’s grand achievement,” Serfass concluded. 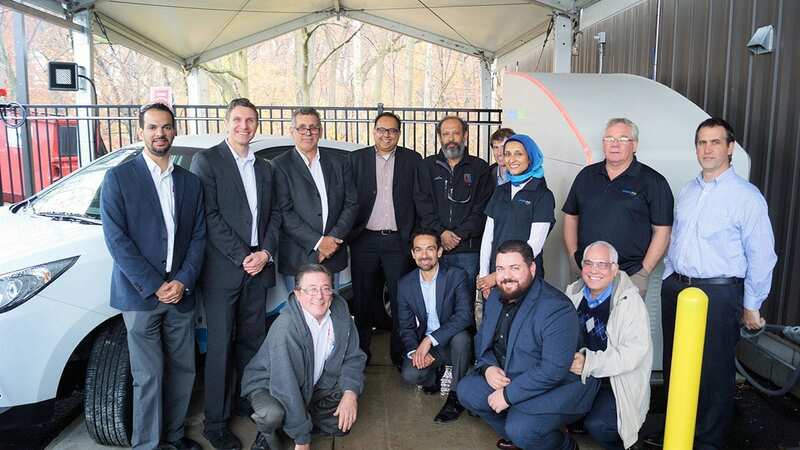 Phase 1 of the competition was launched in 2014, when America’s engineers and entrepreneurs were invited to answer the call to design and build an affordable system for small-scale, non-commercial hydrogen fueling. After receiving and evaluating nine design submissions in 2015, one team – SimpleFuel – was selected by an independent panel of judges as the Finalist, to advance to Phase 2.
www.hydrogenprize.org or by phone at (202) 223-5547 x360. Today the Energy Department announces SimpleFuel as the winner of the $1 million H2 Refuel H-Prize Competition. 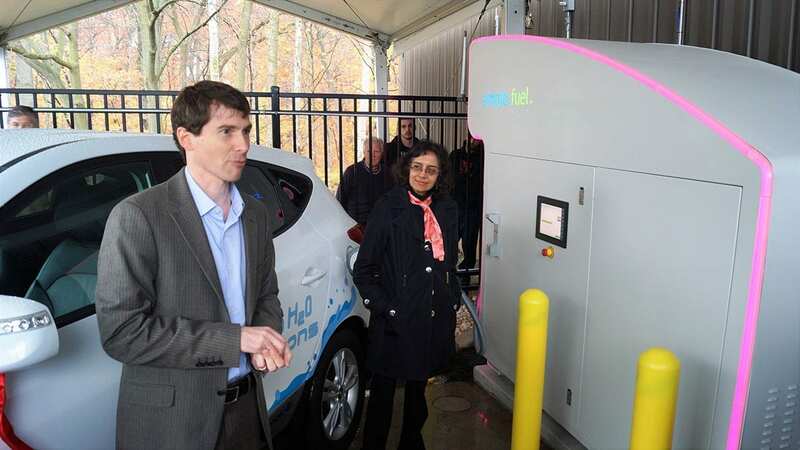 Launched in October 2014, the H2 Refuel H-Prize Competition challenged America’s innovators to deploy an on-site hydrogen generation system, using electricity or natural gas, to fuel hydrogen vehicles, that can be used in homes, community centers, small businesses, or similar locations. 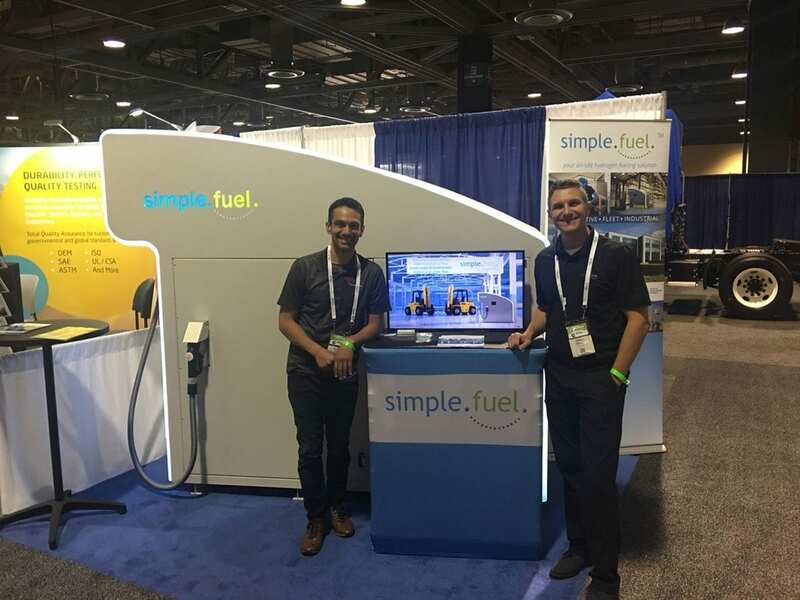 SimpleFuel’s home scale refueling appliance can provide a 1-kilogram fill to vehicles in 15 minutes or less at 700 bar using hydrogen produced via electrolysis, with a cost-effective design that minimizes setback distances and reduces the physical footprint of the system. SimpleFuel is a collaboration of three companies: Ivys Energy Solutions (Massachusetts), McPhy Energy N.A. (Massachusetts), and PDC Machines (Pennsylvania). Data collection began in September 2016 to evaluate the system based on the technical and cost criteria laid out in the guidelines. 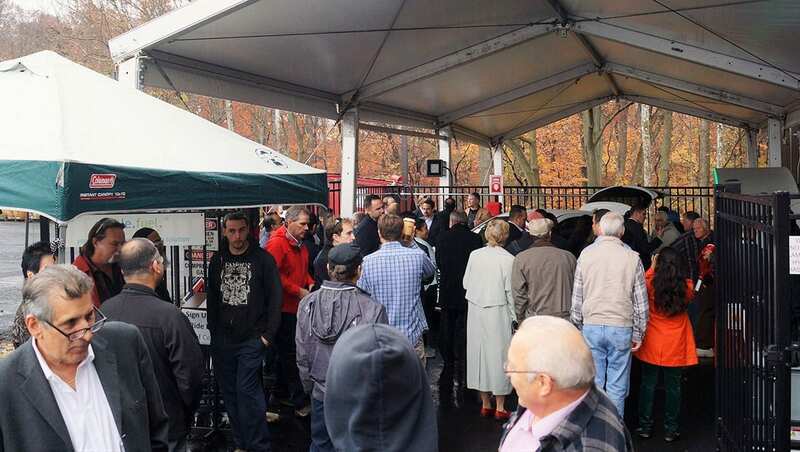 An open house was held on November 9, 2016, to provide an opportunity for the public to get a look at the system. Testing of Simple Fuel’s system was completed on December 21, 2016. Over 180 kilograms of hydrogen were dispensed and all the technical criteria were met during the testing phase. The two-year H2 Refuel H-Prize competition asked applicants to design, install, and test refueling systems used in homes, community centers, businesses, or similar locations to generate and dispense hydrogen to small fleet vehicles. 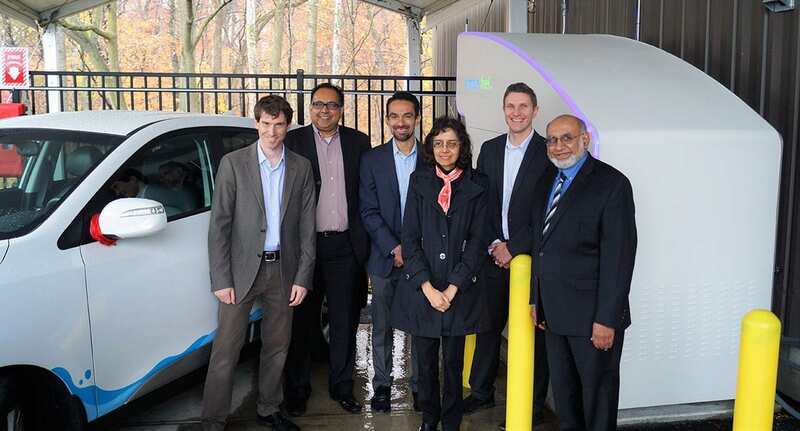 Home fueling projects like these could be an integral part of the continued deployment of hydrogen infrastructure across the country to support more transportation energy options for U.S. consumers, including fuel cell electric vehicles (FCEVs). 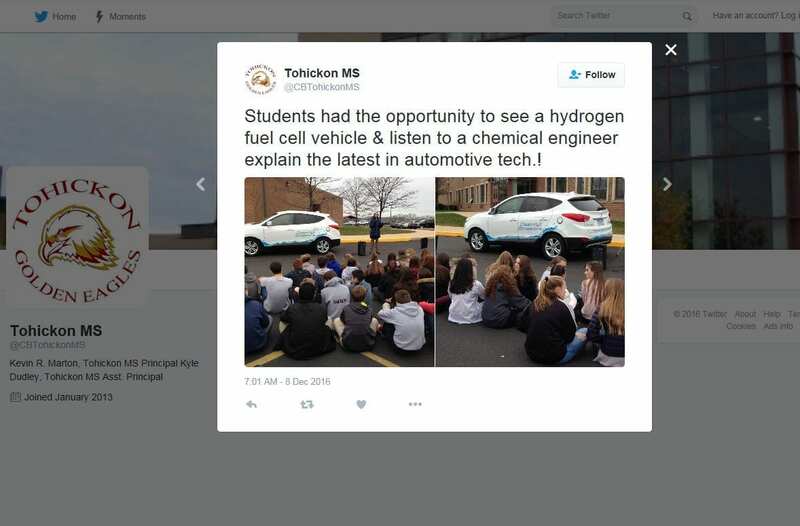 Hydrogen infrastructure remains the most critical barrier to the widespread adoption of FCEVs. Both government and industry are focused on identifying actions to encourage early adopters of FCEVs, by conducting coordinated technical and market analysis and leveraging other alternative fueling infrastructure to enable cost reductions and economies of scale. 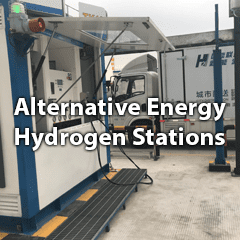 For example, infrastructure being developed for alternative fuels such as natural gas, as well as fuel cell applications including combined heat and power, backup power and fuel cell forklifts, can help pave the way for mainstream hydrogen vehicle infrastructure. For more information on the H2 Refuel H-Prize Competition, visit hydrogenprize.org. 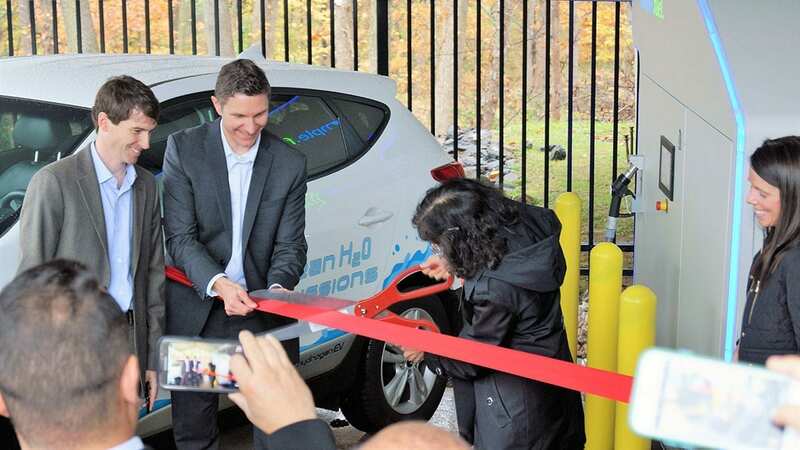 The H-Prize is administered for the U.S. Department of Energy by the Hydrogen Education Foundation. 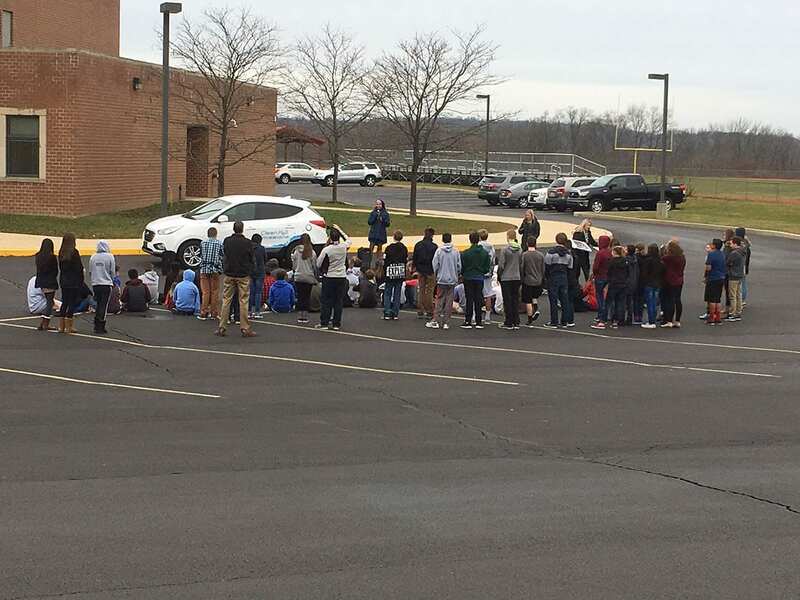 PDC’s Sales Engineer Nihad Kaiseruddin educated Tohickon 9th grader science classes in Doyelstown, PA about the concept of hydrogen energy as a renewable fuel and applications for hydrogen fuel cell cars as well as the science behind generating hydrogen on site. 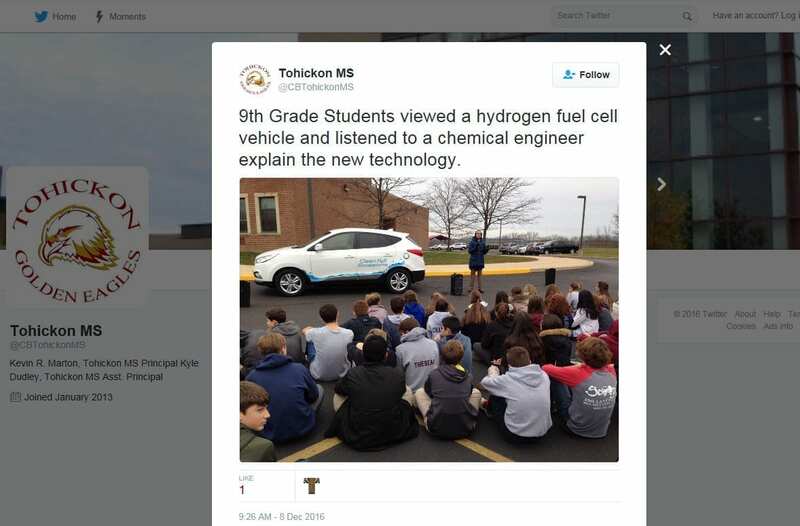 A hydrogen fuel cell car was on hand to show the cars of the future. 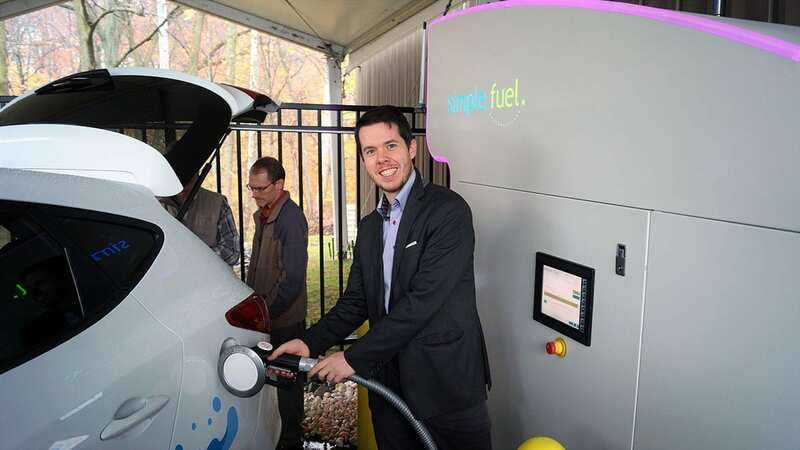 As a part of the H2 Refuel H-Prize competition, the SimpleFuelä Team hosted a public Demo-Day, exhibiting the SimpleFuel Hydrogen Refueling Station. 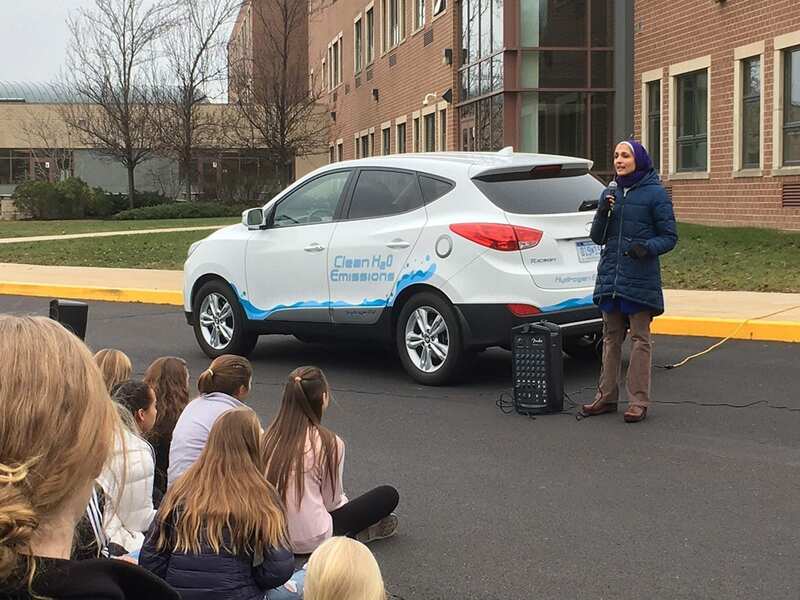 The event hosted at the headquarters of PDC Machines in Warminster, PA was attended by the members of the Department of Energy, industry participants, local government officials and the public interested in seeing the operation of the refueler and the fueling of a production model Hyundai Tucson Fuel Cell CUV. 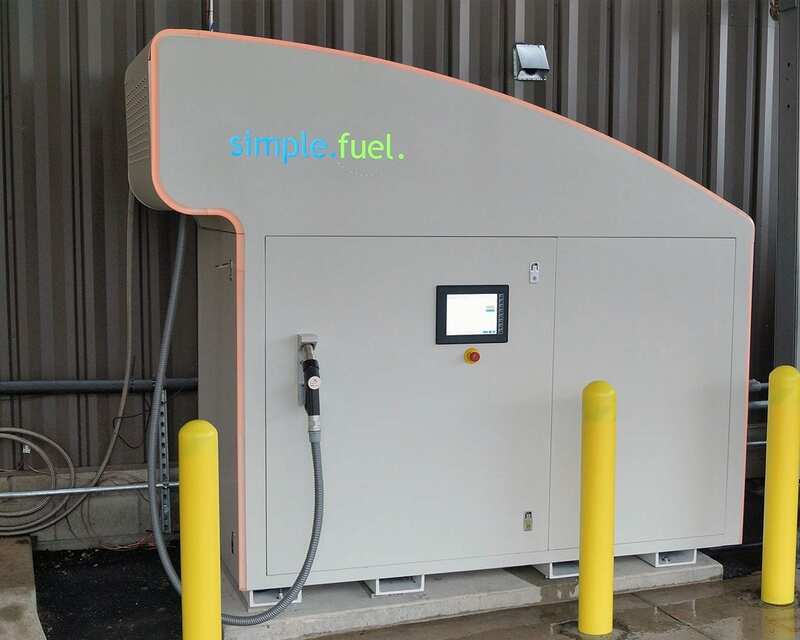 SimpleFuel is a team comprised of three companies: Ivys Energy Solutions, PDC Machines, and McPhy North America, who bring together decades of industry experience in system integration, compression and electrolysis. 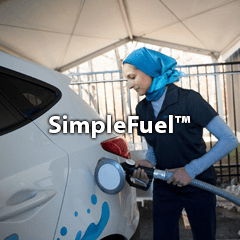 The SimpleFuel product, is aimed at addressing specific needs of the hydrogen infrastructure in the automotive and industrial mobility applications. 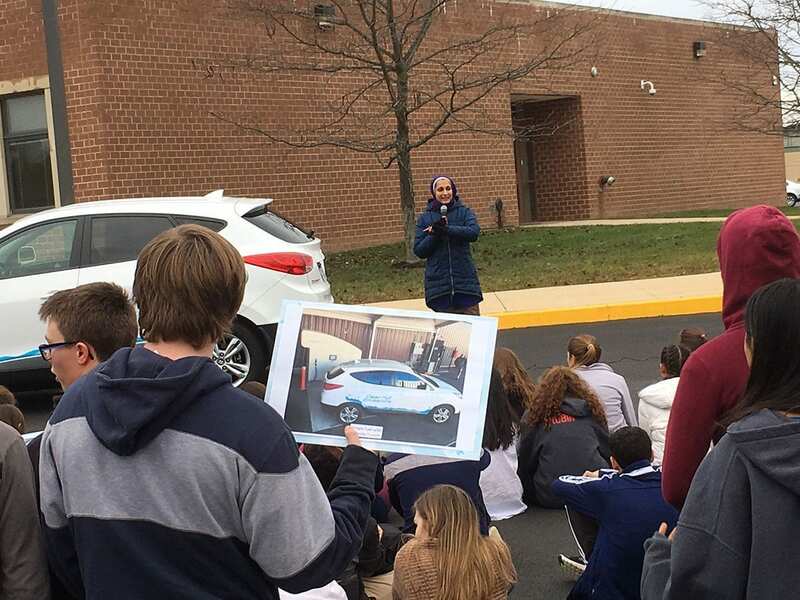 The team is currently using a Hyundai Tucson Fuel Cell to demonstrate the system and expects to work with other automotive manufacturers in the near future to validate the product for automotive fueling. “In order to make hydrogen fuel and fuel cell vehicles more accessible to customers worldwide, we developed SimpleFuel as a cost effective, safe and reliable fueling solution” said Darryl Pollica, the CEO of Ivys Energy Solutions. ‘We are delighted to have the Hyundai Tucson Fuel Cell CUV as a part of this project as it allows us to demonstrate the performance and capabilities of SimpleFuel with a commercially-available vehicle from Hyundai”. The team is also working to deliver products in the industrial mobility market to support fueling of fuel cell forklifts in small and medium sized distribution centers. One of the advantages of a SimpleFuel Refuler is that it can be installed inside a distribution center which eliminates logistics risk of hydrogen delivery and operation under extreme weather conditions. The testing for the H-Prize competition is expected to be complete in December 2016 following which the team will continue to work with customers, partners and suppliers to enable a commercial launch of the product in early 2017. It’s not exactly alchemy, but something magical is taking place inside an 8-foot-tall steel box at a Bucks County industrial park: The humming SimpleFuel machine is converting water into clean hydrogen motor fuel.